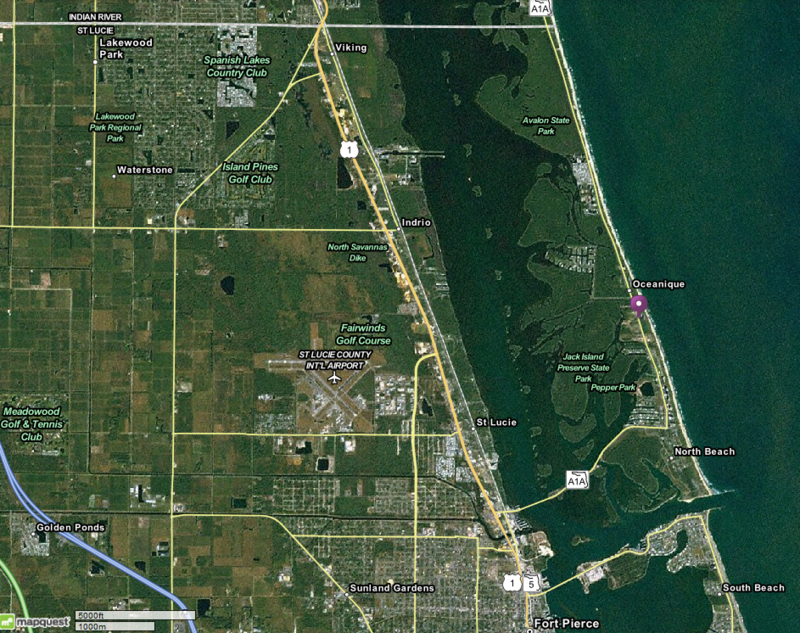 -Turn right (south) onto US-1 and go 3.8 miles to North Causeway Drive, FLA A1A-North to Hutchinson Island. If you reach Seaway Drive bridge you have driven too far. -Turn left (east) on North Causeway Drive GL-A1A1North. Go over railroad track, cross the Indian River on a 2-lane drawbridge and proceed 2.5 miles to the first traffic light. -Take Interstate 95 Exit 129, Okeechobee Road FL-70 (Fort Pierce) to northeast for 1.1 miles. -FL-70 bears to the right (east) onto Virginia Avenue. Follow FL-70 on Virginia Avenue 2.7 miles to US-1. -Turn left (north) on US-1 through downtown Fort Pierce for 3.7 miles to North Causeway Drive FL-A1A-North to (North Hutchinson Island) You will pass the Seaway Drive Bridge but do not turn at this bridge. -Turn right (east) on North Causeway Drive-FL-A1A-North. Go over the tracks, cross the Indian River on a 2-lane drawbridge and travel 2.5 miles to 1st traffic light. -Turn left (north) on FL-A1A-North and Hibiscus By The Sea will be 1 mile on the right. You will pass the Navy Seal Museum on your way on the east side of the street.